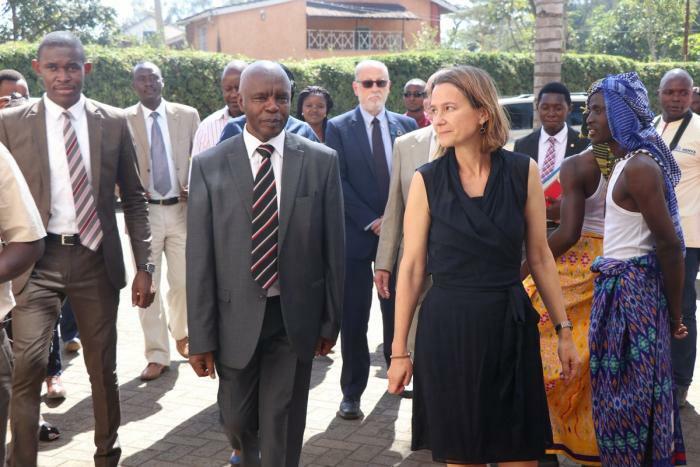 Thursday January 31, 2019-Makueni Governor Kivutha Kibwana yesterday presided over the launch of the Kenyan chapter of the Movement for Community-Led Development. The objective of the movement is to ensure that women, men and youth can discover their voice, assert their rights, and mobilize action to achieve their aspirations. "The launch of the Community-led development movement- Kenyan chapter heralds the passing of the button to the people of Kenya to make the dream of devolution a reality," Kibwana noted. "Politicians should stop seeing the establishment of public participation mechanisms as a threat to their power," he added. The country's where the Movement has footing include Netherlands, UK, Mexico, Benin, Burkina Faso, Ghana, Malawi and Uganda. This gives Kibwana another milestone among his peers and a launch pad to his 2022 Presidential bid; something that may not auger well with former Vice President Kalonzo Musyoka.